Are you looking for the ideal lounge chair to sink into with a book or your iPad? Thanks to Designcollectors, the Lounge Chair can be in your living room or office in just a few days time! 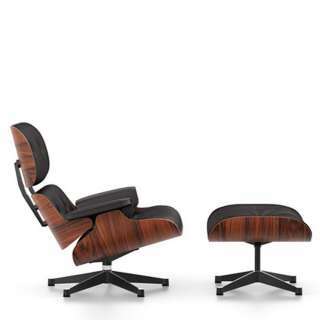 This lounge chair is one of the best-known designs by Charles and Ray Eames, and has been a true classic in modern design history since 1956. Inspired by the traditional English club chair, the Lounge Chair offers excellent seating comfort in a high-quality model. Available in various versions. Check now whether the version that works for your interior is available in stock. 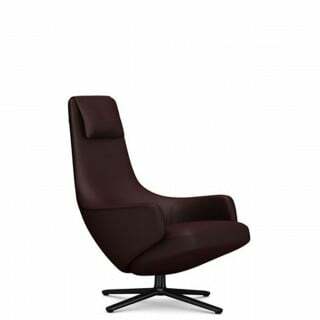 This Lounge Chair & ottoman in mahogany is a limited edition. Nero leather Premium, base polished, sides in black.